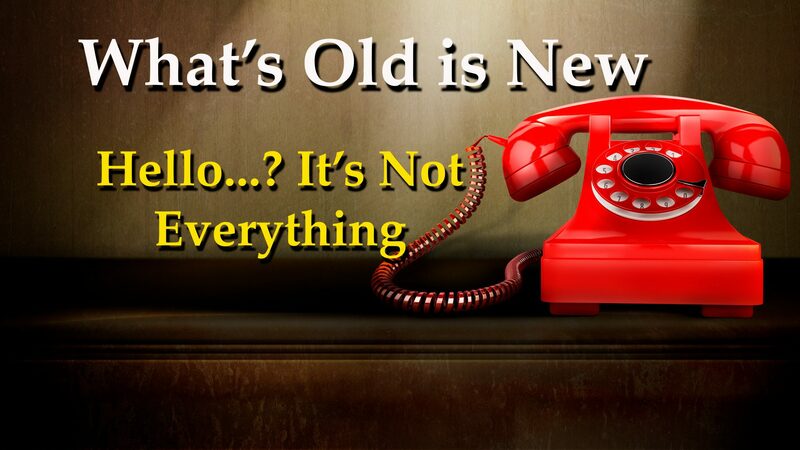 What’s old is new! Want to try something fun? Take an “old school” rotary phone and put it in front of someone who is under 30 years old. See if they know how to make it work! How to “dial” a number?!! What is a rotary phone you ask? It’s an older model landline phone with what is known as a rotary dial. There’s a lot of old technology that’s been gone for so long now. So long that a lot of people are not familiar with it and would not know how to use it. I ‘m a voice actor and voice over talent. I also teach college classes in audio and video production. In these courses, I work with 18-24 year olds all the time. It keeps me feeling young, and keeps the creative energy flowing! I love it!! 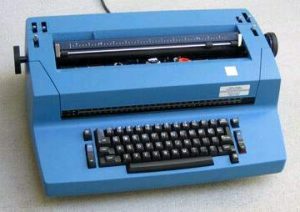 We had kept an old IBM Selectric II typewriter around the studios to be able to “type” (print) labels. One day, I walked by and saw a student yanking the labels out of the typewriter, wadding them up and throwing them on the ground! I asked her why she was doing that. She said she kept making typos. I smiled, and showed her the “correcting key” that allows you to push the button, re-type the mistake and it lifts the mistake right off the page! She had no idea and was totally blown away! What Do You Mean There is More Than One Song?! 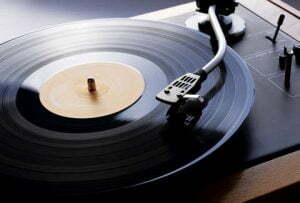 Several students had no idea how vinyl records work. Seems so obvious to me. One student had no idea there were two sides to the LP. Another thought that the 33 1/3 LP vinyl disc only had one song. When I explained there were 6 songs on that one side of the album, they had no concept of how you could discern where one song ended and the next song began. I got to teach what was old and make it new! What fun!! Technology will always change. It’s sometimes hard to keep up with technology. Of course we do so to stay relevant. To improve workflow. Improve quality. Be more efficient. But technology will always be a moving target. Technology is not everything. How we work with our clients, our “client relations,” is NOT a moving target. Especially in the voice over business (and probably most any business), return business is key. First thing to think about is the difference between “client” and “customer.” What is the difference to you? In a blog a while back, I wrote, “As your ‘customer’ you are hoping to sell to them a product or service. As your ‘client’ you are looking out for them and what is in their best interest.” This is an important concept. Advances in technology don’t really change this. Except in helping your workflow. But as a business philosophy, it does not change. Think about these very important concepts. Things that make your business relationship with your CLIENT sustainable. These are all things I value and hold to in my voice over and production work. Honesty – Always being honest with your client. Integrity – Adhering to ethical conduct in your business dealings. Trustworthy – being dependable and reliable. Your clients want to know they can trust you. Meeting Deadlines – Providing the deliverables/service on time to meet your clients needs. Availability – Making yourself available to your client so they know they can count on you. Expertise – Provide your client with expert skills and knowledge. Friendliness – Clients want to work with people who are easy to work with, friendly and fun. These are all tenets I value. Personally and professionally, they are very important to me. I always want what is best for my client. I approach my relationship with each client as “here’s what I can do to help you.” Having a happy, satisfied CLIENT makes it much more likely they will return to you the next time they need something. Client relationship does not get old, it stays new! May you live long, help others, and prosper!